There is no battery INPUT pin on the Gemma. 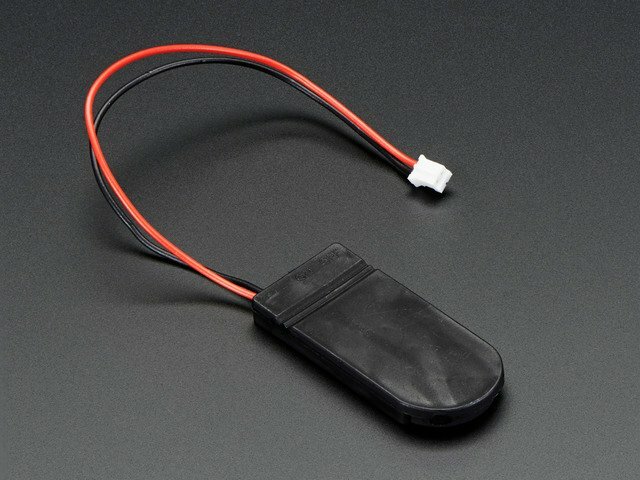 You can connect a battery via the JST jack. We have found that Lipoly batteries, coin-cells, and AAA's work great. 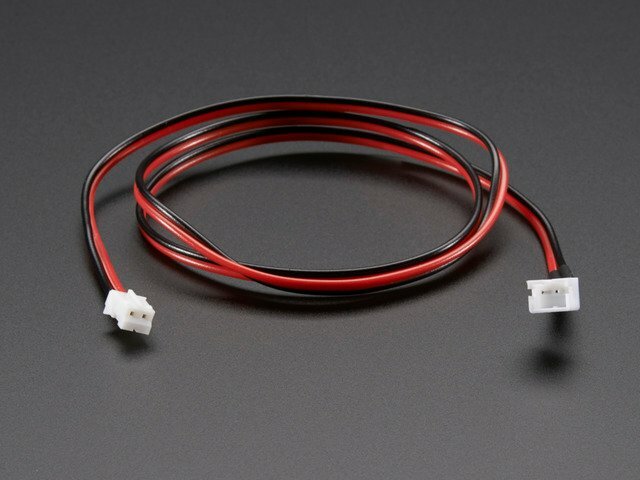 You can also make your own battery input pack using a plain JST cable. And use a JST extension cable if necessary. You can plug anything from around 4VDC up to 16VDC, but we suggest 4-6V since higher voltages just get wasted as heat. This input is polarity protected. If the green PWR LED lights up, you're good to go. There is no off switch on the Gemma, so unplug or switch off the battery pack when done. 3Vo - This is the 3.3V OUTPUT pad from the voltage regulator. 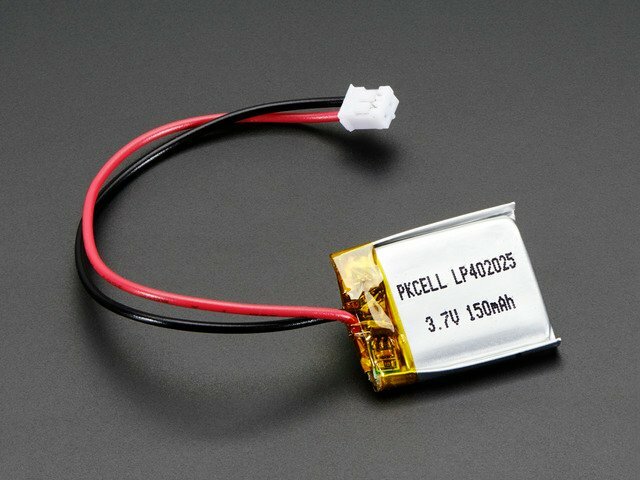 It can provide up to 150mA at a steady 3.3V. 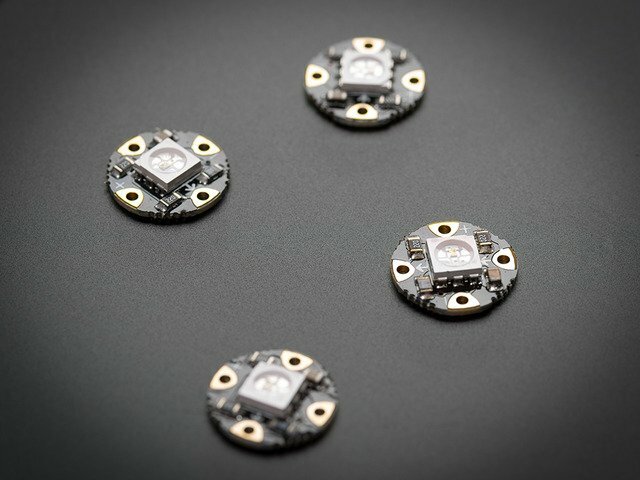 Good for sensors or small LEDs or other 3V devices. On a Gemma, the GPIO are 3.3V output level, and should not be used with 5V inputs. In general, most 5V devices are OK with 3.3V output though. Pad #0 - this is connected to PB0 on the ATtiny85. 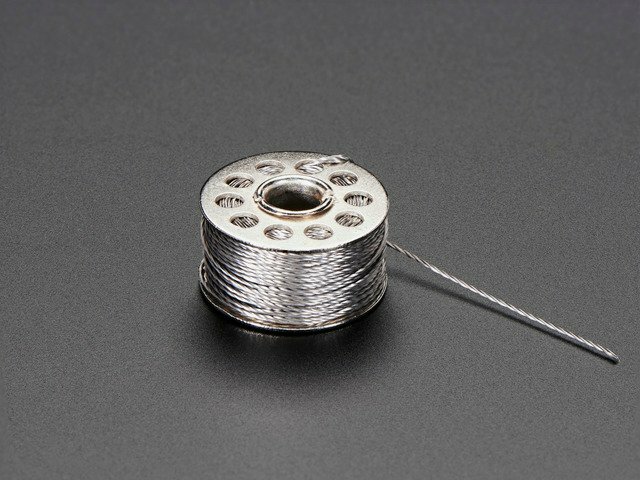 This pin can be used as a PWM output, and is also used for I2C data, and SPI data input. Pad #1 - this is connected to PB1 on the ATtiny85. This pin can be used as a PWM output, and is also used for SPI data output. 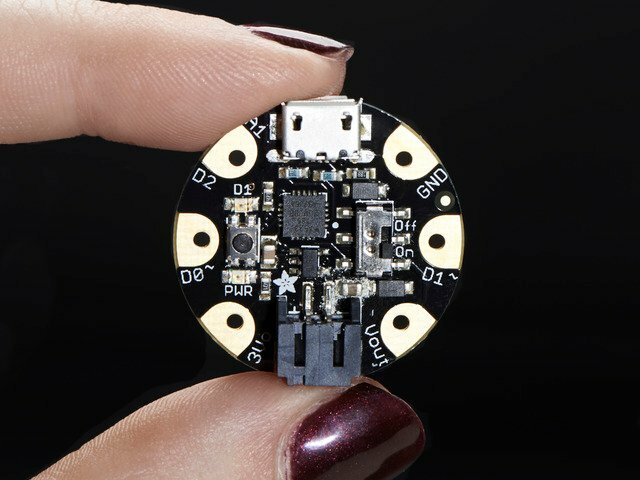 This pin is also connected to the onboard LED (like pin 13 on a regular Arduino). Pad #2 - this is connected to PB2 on the ATtiny85. 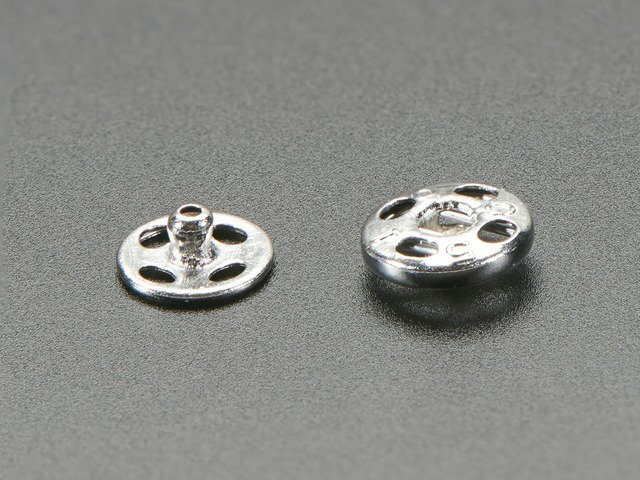 This pin can be used as an analog input (known as Analog A1), and is also used for I2C clock and SPI clock. On the off chance you want to reprogram your Gemma with an AVR burner, the bottom of the board has a large pad that is connected to the Reset pin. We use it for testing and you will likely never need it but it is there if you do. This guide was first published on Sep 13, 2013. It was last updated on Sep 13, 2013. This page (Pinouts) was last updated on Apr 23, 2019.